Last fall I went to Wasilla to attend Alaska Picker's Picker Day. 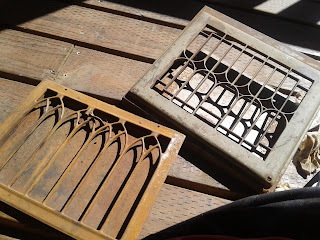 Essential items on my list to buy were 4 heat registers from a house that was built in 1851. It had served as a stopping place for the Underground Railroad, so regardless of whether these were actually in place during that time period, I really wanted to purchase them. The house had been torn down and these were salvaged. I have a couple of ideas for the other two, but these seemed perfect to use as a display for some of the items that I have that are a bit difficult to display. I have quite a few vintage magazines and newspapers and I think they will slip right into these two registers. 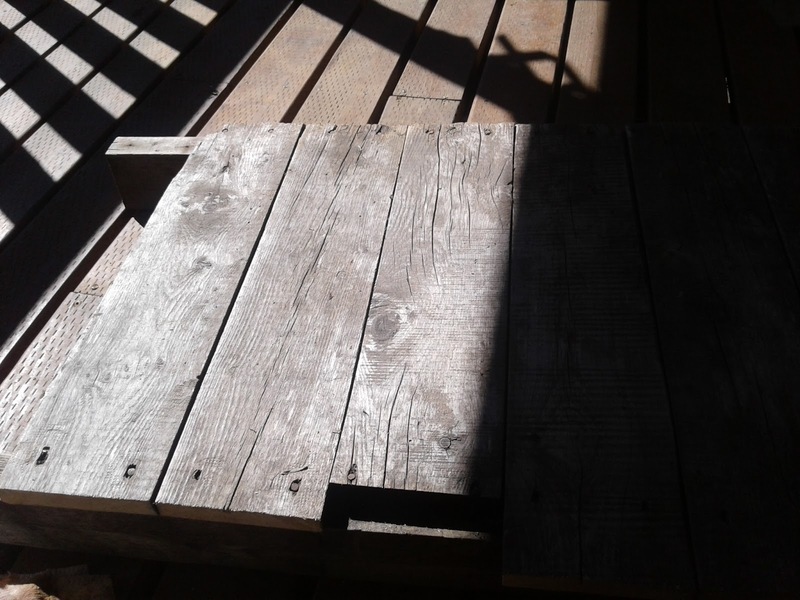 I attached them to some wood that I have managed to save from the farm burn pile.....it is good wood and has lot of potential for repurposing, it used to be part of a hay wagon. 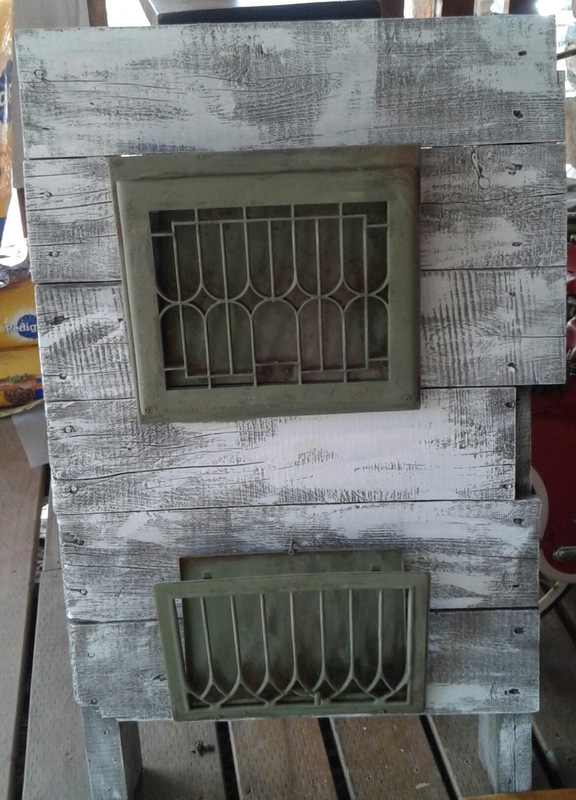 I dry brushed some white paint on the wooden frame and removed some of the rust from the registers, and applied a bit of green paint. 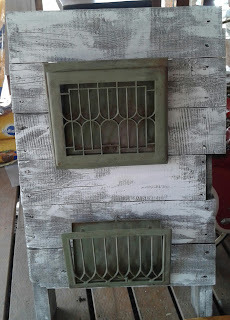 I screwed the registers to the pallet and I think this will work well at the cabin to store the newspapers and magazines. LOVE this idea! 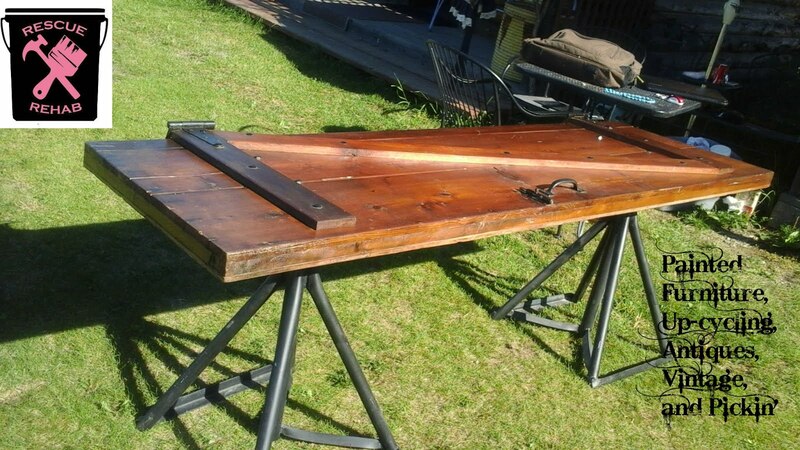 I purchased a couple of these cool register covers and wondered how to repurpose them - got an idea now-many thanks! Thank you, I love the history too! My daughter really wanted these, so now, they are on her wall at her house. She mounted these next to her built in desk and they hold my grandchildren's school papers.